There was once a large Vietnamese population in Phnom Penh. When I first visited in 1996 I heard Vietnamese spoken often on the streets. Restaurant owners, cafe proprietors, market-stall holders - all were frequently Vietnamese. 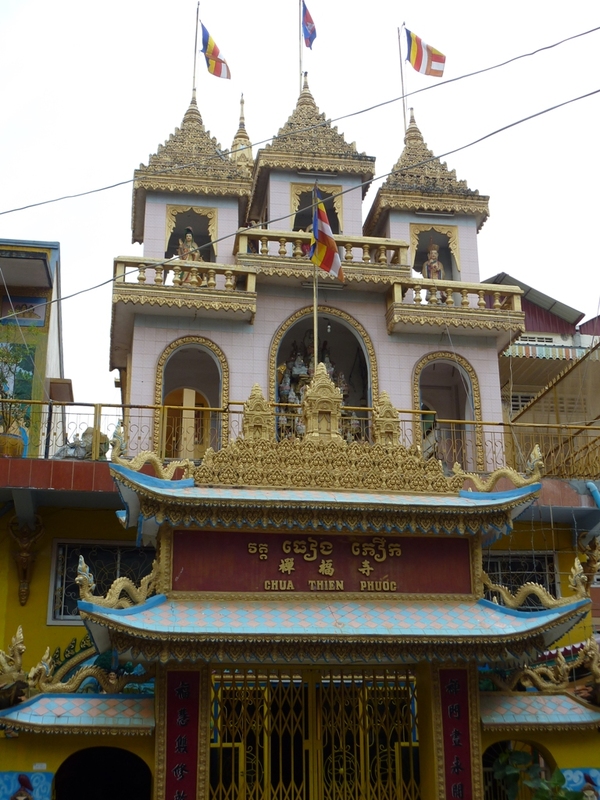 The city boasted several Vietnamese Mahayana temples with resident monks, as did outlying areas. This has been gradually changing. More and more Vietnamese return home, despite having lived in Cambodia for a generation. The Vietnamese temple close to Olympic Market is the last one I know of in the inner-city area, and that seems to be on its last legs. Of course, no-one knows where it is, and most Tuk-tuk and moto drivers will tell you that there is no Vietnamese Wat in Phnom Penh. 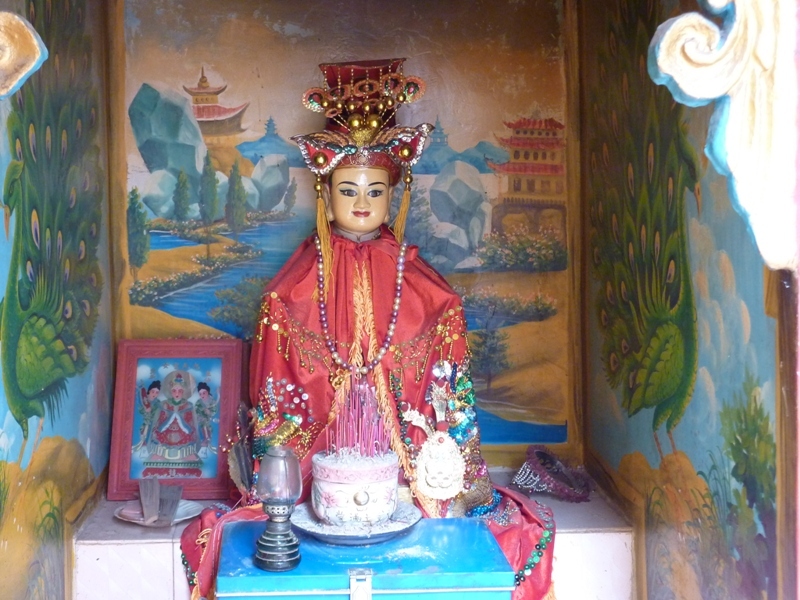 The only one they know of is in a fishing village about 15 kilometres outside of the city. I knew it was there somewhere, though, and eventually I went out to the Vietnamese restaurant next to the Mai Linh bus stop that sells tickets to Ho Chi Minh City. The kindly owner affirmed there was a Vietnamese temple nearby, and the waiter drove me there on the back of his bike, having stopped to ask directions several times. 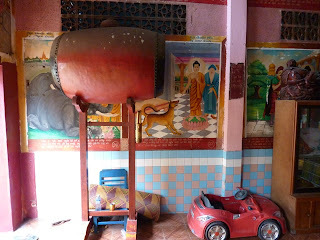 When I visited last year there was still a resident monk, albeit a very grumpy and not particularly outgoing one. But even he has left, leaving the temple more or less deserted. The temple-keeper seems to be an 18 year-old boy, helped by some of the surrounding families and kept company by a shifting cast of ne'er-do-wells that sleep in hammocks in the prayer hall. It's a shame, because it is a beautiful little place, displaying a unique amalgamation of the two religious styles. 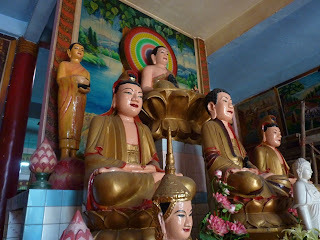 The usual wall murals common in Theravadin temples across Southeast Asia are here, but with the addendum of murals depicting Mahayana concepts of hell and the cultivation of merit that one might see at a Chinese or Vietnamese temple. The main shrine contains the usual Vietnamese mix of Buddhas and Bodhisattvas, but also a Khmer-style image of the Buddha that you would never encounter in Vietnam. 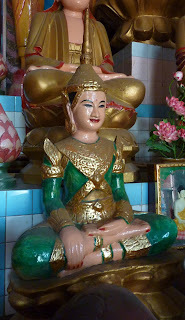 Outside the temple are a number of small shrines, including one devoted to a local Goddess from Ca Mau in Southern Vietnam - I have never encountered her before. The temple is well worth a visit, though prepare for a struggle to find it. It is actually centrally located - it's just that no-one knows about it. 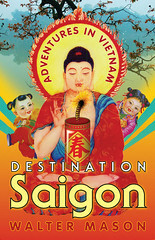 Ask the driver to take you to Wat S'nyay (Wat Vietnam). He may not know where it is, in which case ask him to take you to Street #134 and ask directions from there.